There are many reasons an individual may want to look up records of old newspapers, which can include school projects, a family tree, researching history, and reading obituaries. Newspapers offer a vast amount of information to individuals by providing facts about events that happened throughout history. A library is a great place to start your search. 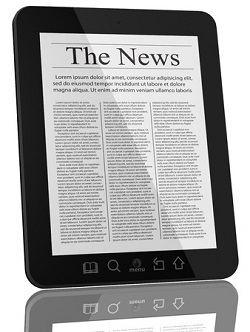 Libraries provide access to public records databases that contain digitized or microfilm copies of old newspapers. If an individual wants to find further information through old newspapers, then there are many other great places to look such as online websites that keep archives of historical data. The advancements in technology have enabled an individual to have access to numerous articles online, which is beneficial for someone looking for past information. There are many online databases that give an individual access to digital records of old newspapers. One useful database is The Library of Congress section called “Chronicling America” that archives old newspapers. There is an immense amount of public records of historical newspapers, which are kept on PDF files and were published between 1880 and 1992. The site also features a database of newspapers printed in the United States from 1690 to the present, so it is can be very useful for accessing really ancient data. The archive is produced and maintained by the National Digital Newspaper Program, which is also known as NDNP. The NDNP is a partner with the National Endowment for the Humanities and is has an NEH award program. The NEH award programs provides funds for the contribution of content from events that happened in the United States. Another useful resource is called Newseum. It is an online digital archive that gives individuals access to more than 800 newspapers from all over the planet. They host a massive amount of newspapers, which include local ones as well as globally-recognized ones. The database is updated daily and also keeps an archive of front page articles that were published on significant dates in history such as the day Pearl Harbor was bombed and the day President Kennedy was assassinated. The New York Times offers a Times Machine archive that provides access to the newspaper’s first issues that were published on September 18, 1851 to December 30, 1922. Although there are only a limited number of newspaper issues, the archive gives an individual access to many important dates in American history. Old newspaper archives can provide an individual with an abundance of information. For students, it is a great way to conduct research. When conducting research, it can be helpful to save any article that is found useful. An individual can take screenshots of valuable articles, which can provide proof of one’s family tree. When conducting research, it can be difficult to keep track of all sources that are reputable, which is why saving articles with screenshots can be helpful. If an individual wants to learn about people and events that happened in the past, then old newspapers are a great source of information.